It is not only for honeymooners ! I think this is a place for everybody who loves to travel and reach a "special" spot. Where else can you bath in one of the small genuine tubs made by the river itself and dugged in rocks to make a nice hollow space for a romantic bath. The black and shiny rock drizzle in the light of the sun. You touch those rocks and you feel the power in them, the power that they are there steady for years, now smooth from all the water that has caressed them and made them even more shiny. 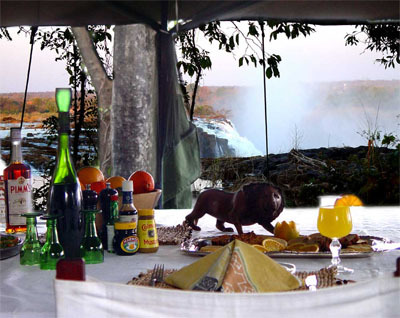 But one of the best nest, to have a couple of days laid down and dazing under the stars, listening to the river flowing, the buffs of the hippos, the cry of the monkeys, and be cuddled by an excellent service and tasty food is surely Sussi & Chuma. Have you ever tried it? These are the places where one should travel to without a planned trip. 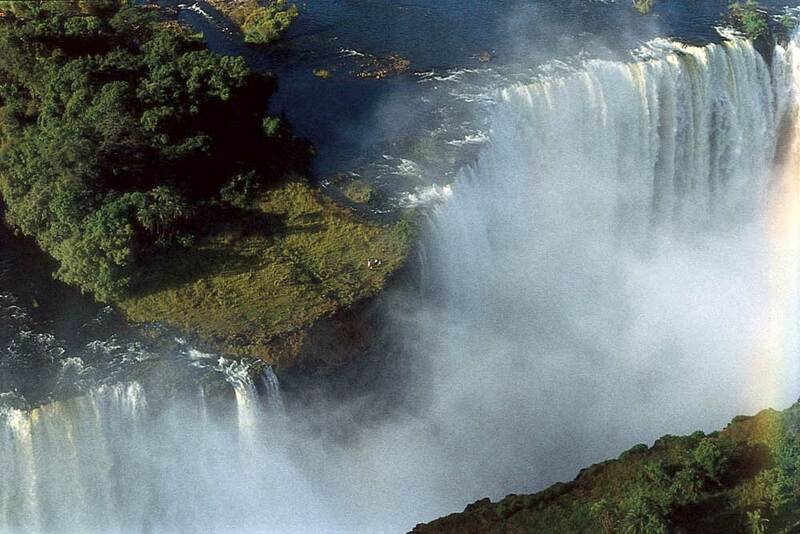 You should take your days and relax, get rid of all the stress and be free to watch the River Zambezi. It is amazing how much a river can tell you! How much it has rained in the past season, how thirsty the big and crooked roots are, how much water is there still to flow to cover the banks where hippos are having soft white “beaches” to sunbathe. Living a “river life” in Africa is one experience. I lived long along the Omo River being that my home. I stayed weeks on the Kibish River with tribes. Water flows always and in each river and each time is a different drop and each time when you reach a course of water you are thankful for all what it gives. You learn to appreciate water living in Africa, living a real African life.